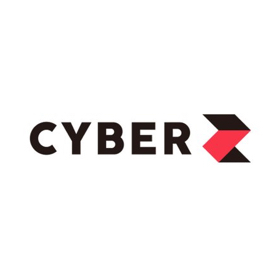 CyberZ is the largest mobile marketing agency, with locations in Tokyo, San Francisco, Korea, and Taiwan. CyberZ's measurement solution, Force Operation X (F.O.X. ), is implemented in 3,000+ apps globally. CyberZ is an advertising agency that specializes in smartphone marketing. Since 2009, CyberZ has been providing advertising and marketing services throughout the world, including Asia, the US, and Europe. Its in-house smartphone marketing solution, F.O.X., is integrated with over 4,000 apps globally, and continues to support promotions in various industries. Force Operation X was the first tool developed in Japan for ad tracking and measurement in apps. F.O.X. is officially recognized as a Twitter Official Platform Partner. Furthermore, F.O.X. has been integrated with major media partners such as iAd, Google, and LINE. With great localization efforts to support different countries and languages, F.O.X. is the world’s most widely integrated tool, in Japan and globally. CyberZ goes beyond advertising to develop products to enhance smartphone gameplay experience for users. Its newest product, OPENREC, allows in-game recording, editing, and sharing. This is just one example of developments to enhance the growth of the smartphone market at large. In 2012, CyberZ launched its US office in San Francisco to support advertisers seeking to enter foreign markets — “Japan to Global” and “Global to Japan.” It has been driving the implementation of F.O.X. with its Asian and US media partners, thus bolstering the ease of smartphone advertising when using a globally recognized tool such as F.O.X. One SDK connects you to a multitude of media partners all over the world.